In 2014 the park was admitted to the Unesco World Heritage list when UNESCO designated about 80% of the Wadden Sea National Park as unique nature. This National Park, the largest in Denmark, opened in 2010 and covered 145.900 ha. and is also one the largest national parks in Europe. The natural coastlands by the Waddensea is an area that attracts many tourists every year, and they book a holiday home or stay in one of the many camping sites. 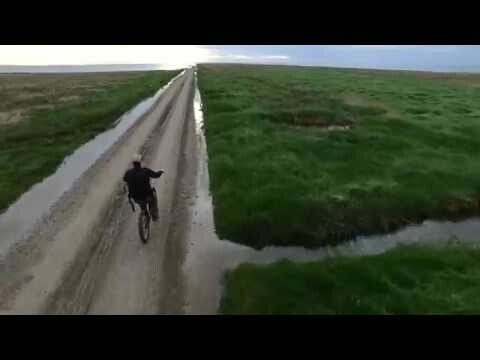 The Wadden Sea National Park is one of the most important wetlands in the world, stretching from Den Helder in the Netherlands, around the German Bight in Germany to Blaavandshuk in Denmark and cover a stretch of 500 km. Therefore it is also on the list of Particular Sensitive Sea Areas (PSSA) as the Galapagos Islands and the Great Barrier Reef in Australia. If you visit the Wadden Sea Centre which is information- and activity centre, you can see exhibitions on the tide, fauna and flora or book a trip to Oyster Safari or 'Sort Sol' adventure. The Wadden Sea also has the largest population of the common seal in Denmark, and they rest on the many banks, which flood at high tide. One of the most popular activities is to experience the "Black Sun" in spring (March and April) and autumn (mid-September to late October). 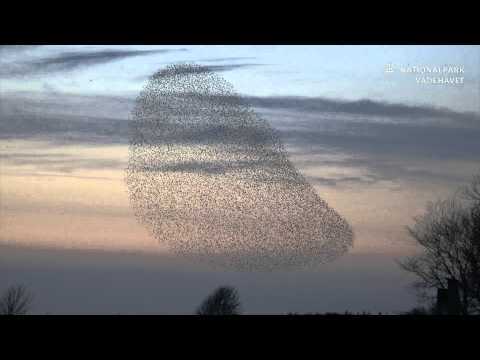 This amazing natural phenomenon describes the large numbers of migrating starlings (up to a million) gathering in the marshes outside Ribe and Tønder. It takes place just after sunset when the birds from huge formations in the sky before they decide on a location to roost for the night and the birds are so numerous they seem to obliterate the sunset. All year round it is possible to join one of the many nature experiences as exhibitions, here to mention in the new Wadden Sea Centre opened in February 2017, and the many outdoor activities, event parks or museums. Wadden Sea National Park has become one of the biggest natural heritage sites in the Nordic countries. This 1000 m2 exhibition centre, opened in February 2017, is the best source of information about the Wadden Sea National Park, and you get close to the birds you normally watch at a distance. It is an information and activity centre, where you can see exhibitions on the tide, flora and fauna of the national park and book an Oyster Safari or Sort Sol viewing trip. So we recommend you to start your visit to the national park here. From the centre, there is a possibility to take the tractor bus to the Mandø Island which is 6km out in the sea. The Wadden Sea National Park region is a popular holiday destination in Denmark. The Rømo Island is nearby and has one of the biggest beaches in Europe. On another island nearby, Fanø, they also have very beautiful beaches and participate in the International Kite Fliers Festival each year in June. The food culture is influenced both by traditional cuisine and gourmet, and a diverse range of culinary delights awaits you here when you visit Sout West Denmark. 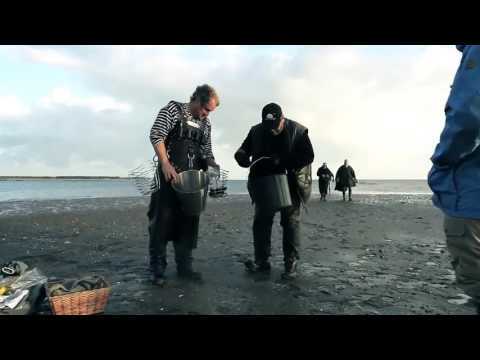 In the Wadden Sea area, there are oysters, shrimps, march lamb and juicy Wadden beef and the meat has a unique flavour and taste because they graze on the salt marshes of the Wadden Sea. The Wadden Sea is a treasure trove of delicacies, from shrimp and oysters to succulent marsh lamb and juicy Wadden beef. Meat from animals who graze the salt marshes of the Wadden Sea has a unique flavour. Their diet includes sea-meadow grass, which tolerates salt, so the animals ingest important nutrients and minerals that endow the meat with a distinctive and delicious taste. You will find the Wadden Sea in South Denmark located along the southern stretch of Denmark's West Coast, from Ho Bay to the German border. If you visit this part of Denmark, the park is an easily accessible day trip from nearby towns such as Ribe, Denmark's oldest town, and Esbjerg, home of the imposing Man Meets the Sea sculpture.